Bhagavad Gita Art Gallery--Plate 28: "Fools deride Me when I descend in the human form.". "Fools deride Me when I descend in the human form." 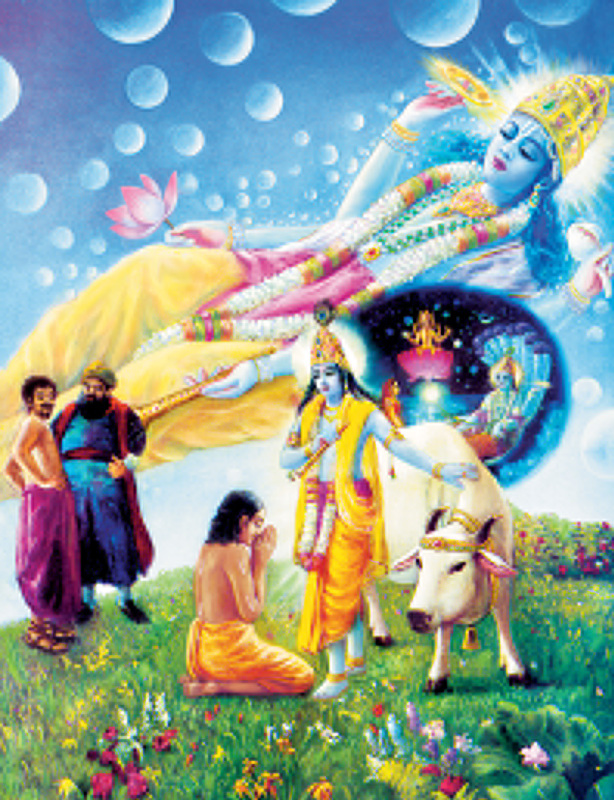 PREVIOUS Bhagavad-gita 9.11 The fools mock the humanlike form of Lord Krsna, but the devotee offers his obeisances. Behind Krsna are Maha-Visnu, Garbhodakasayi Visnu and the entire cosmic manifestation-all working under Krsna's direction.